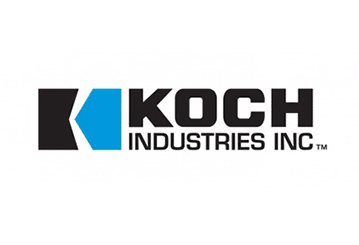 Koch Industries was founded in 1940 by Fred C. Koch under the name Wood River Oil and Refining Company, subsequently renamed Rock Island Oil & Refining Company and ultimately to Koch Industries. Its headquartered are located in Wichita, Kansas. Approximately 100,000 employees work for Koch, 60,000 in the US and 40,000 in 59 countries around the world. Koch Industries owns a diverse group of companies: Georgia-Pacific, Molex, Flint Hills Resources, Invista, Koch Ag & Energy Solutions, Koch Chemical Technology Group, Koch Pipeline Company, Koch Minerals, Koch Supply & Trading and Matador Cattle Company. Georgia-Pacific and its subsidiaries are among the world’s foremost producers of pulp, paper and packaging, tissue, specialty fibers and nonwoven fabrics, cellulose, and building materials. Molex produces electronics, electrical and fiber optic components utilized around the world by industries such as, automotive, telecommunications, consumer electronics, medical, aerospace, mobile devices and military. Flint Hills Resources, along with its subsidiaries, is an international leader in the production of chemicals and biofuels. Its three facilities are processing in excess of 800,000 barrels of crude oil each day. End products include: gasoline, diesel and jet fuel, biodiesel, ethanol, liquefied natural gas, asphalt, olefins, polymers and intermediary chemicals. Invista produces polymers, fibers and intermediate chemical products, such as nylons, polyester, and spandex used in the manufacture of clothing and automobile components. Koch Ag & Energy Solutions and its subsidiaries—Koch Agronomic Services, Koch Energy Services, Koch Fertilizer, and Koch Methanol—are serving international agriculture, energy, turf and chemical markets across the globe. Koch Fertilizer is one of the largest producers of nitrogen fertilizers in the world. It has invested more than $775 million in facilities improvements, installing the latest cutting-edge production technologies. With five full-scale nitrogen fertilizer production facilities, 80 distribution terminals in America and 30 abroad, it has the capacity to market and deliver more than 13 million tons of fertilizer products each year, dominating other global leaders such as CF Holdings, Potash and TogliattiAzot. Its product portfolio includes: ammonia, potash, phosphate, NPK blends, urea and sulphur-based products. Koch Chemical Technology subsidiaries are focused on developing clean technologies that control pollution emissions in manufacturing facilities such as, mist elimination equipment that is utilized in chemical and refinery plants around the world, membrane separation systems, low-emissions process burners, clean technologies for gas and natural gas processing, and acid proof ceramics and plastic materials for construction and engineering operations. Koch Pipeline Company is transporting crude oil, natural and liquefied gas, refined petroleum and chemicals through in excess of 4,000 miles of pipelines, predominantly in the states of Texas, Minnesota, Iowa, Illinois, Wisconsin and Missouri. Koch Industries places a strong emphasis on corporate stewardship, encouraging its employees to become involved as volunteers in community-based non-profit endeavors, especially those that empower local residents and build long-lasting solutions to problems. Koch Industries and the Charles Koch Foundation are engaged in extensive grant programs and partnerships in the areas of education, entrepreneurship and corporate leadership development, youth, disaster relief, environment and the arts.